Over the past three and a half days, 35 athletes endured several different skills tests and competed in almost 30 hours of rugby. This was all to land a spot on the Parapan American Games Training Squad for USA Wheelchair Rugby. With a mix of veteran athletes and some new talent, 15 athletes were named and will beginning training in just ten short days for the Parapan American Games. In just 96 days, a team of 12 will head to Toronto to compete for a qualification spot at the Rio 2016 Paralympic Games. Until that time, the team will meet on three different occassions for training camps at Lakeshore Foundation in Birmingham, Alabama. Lakeshore is the home of USAWR and the High Performance Management Organization for the sport. 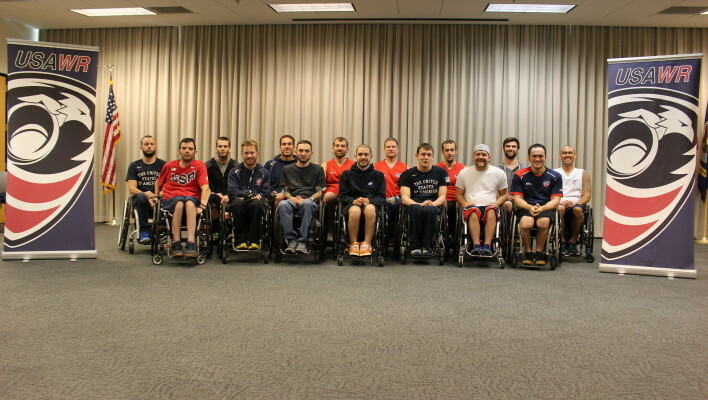 We not only want to thank them, but also the USOC and USA Rugby for all their support!